WARNING: THIS IS BOOK 2 IN A SERIES, AND THE REVIEW, BY NECESSITY, CONTAINS SPOILERS FOR BOOK 1, I AM NOT A SERIAL KILLER. IF YOU HAVE NOT READ IT, I RECOMMEND READING MY REVIEW, READING THE BOOK, AND COMING BACK WHEN YOU’RE DONE. Sometimes, when all I read are heavy, 600+ pages books, I think that they are all that there is, and anything shorter is silly. It takes a few good shorter books to remind me of how wrong I am sometimes, and Mr. Monster by Dan Wells was one of these books. If you liked the first one, read this one. Mr. Monster is just under 300 pages long, and none of those pages are wasted. The setting is the same small town, Clayton, that we know from the first book, and many of the characters are familiar. The idea of demons is familiar, too, and Dan has to do minimal worldbuilding here. That means that we get almost pure character and story. Usually, I like more substance to my books than that, but sometimes, it really is nice to sit down and not have to remember 1000 named characters with lines, 7 different magic systems, 11 cultures, and a half dozen different groups of bad guys that need to be killed. Sometimes. And for those times, Mr. Monster hits the spot perfectly. It’s a novel I can sit down and read for an over hour at a time without having to take breaks between every chapter to process the implications of what just happened, and I love it for that. The flow is great at sucking me in, and I nearly missed my train station while reading. I thought I was 3 stops away, looked up, and barely made it off the train in time at my station. Dan does not go off and decide that he needs to do a bunch of crazy new stuff with the same characters in the same world. Instead, he takes what worked so well in the first book, and does it again, with just enough differences and advances to make it feel new. There’s always a chance that a book will get repetitive and boring if this is done too many times, but Dan managed to make it work marvelously well for himself. Of course, I say that he didn’t do anything crazy as a relative term. We’re in the same tight first-person viewpoint with John Cleaver that was so intense in the first book, and that means we’re deeply inside the head of a sociopath who is suppressing his serial killer tendencies. And ever since he killed the demon, they’ve become harder to control. Many of the moments with John are downright chilling. If Dan was looking to get a raw emotional response from me, he succeeded. John’s mindset is done incredibly well, and he manages to sketch out the other characters of the novel—Brooke, John’s family, John’s new antagonist—with great detail, even through John’s apparent detachment. He kept these characters true to themselves, too, even when most other authors would have made different decisions that might have been more fan-based. I’m glad he didn’t, even though some of them hurt, some quite a lot. Hurt, and made me shudder. I honestly think this would have been an utterly amazing book if I had been a horror fan, and I really liked this kind of thing. Unfortunately, it was sometimes a little much for my delicate sensitivities—I had to stop and read a filler or two between every ASoIaF book, for example—and that, for me personally, slightly lessened my enjoyment. 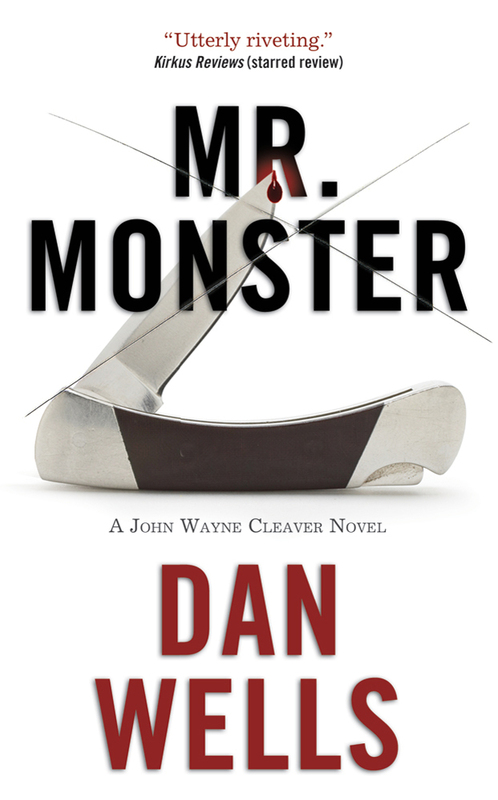 In summary, Mr. Monster is a great, quick horror novel that closely traces the first, without being a boring copy. It has some truly great horrifying moments that are occasionally slightly too much for me, and is incredibly easy to read and hard to put down. Four of five stars, and a high recommendation if this is your kind of book. I’m anxious to find out what happens in the rest of the series.